You switched to our site for Hungary. Wireless local area network (WLAN), as the IEEE 802.11 wireless standard is commonly known, is indispensable in the modern world of communications. Wireless local area network (WLAN), as the IEEE 802.11 wireless standard is commonly known, is indispensable in the modern world of communications. Not only mobile phones, laptops and printers use this standard. Even refrigerators, cameras and cars are now equipped with it. 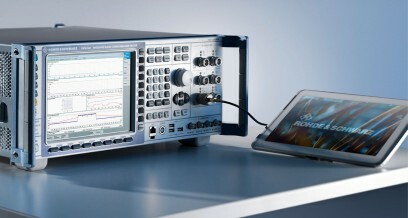 To ensure trouble-free operation, WLAN-capable devices have to undergo a wide range of tests – from development to production. The scope of these tests increases depending on the quality requirements and whether WLAN is operated in parallel with other wireless standards such as Bluetooth® or LTE.